ELIZABETH CITY, N.C. – This year Chevrolet will debut an upgraded version of the myChevrolet mobile app at CES 2016. 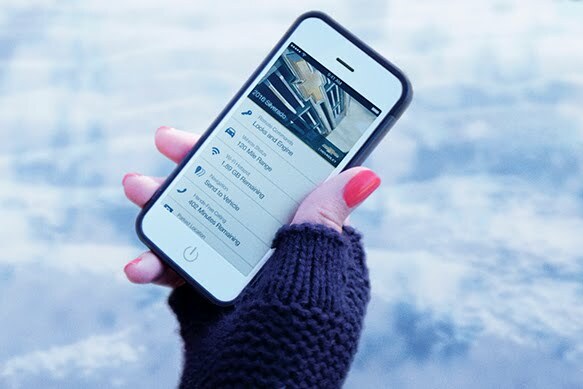 The new myChevrolet app offers exceptional customer experience with easier management of your vehicle. The new myChevroelt app offers exceptional customer experience by combing two apps into one. Chevrolet drivers will be able to access everything they need for their vehicle with just one user profile and login. Users can also customize their home screen on the app to take advantage of the tabs they use the most. Are you in the market for a Chevrolet? Come by Perry Auto Group. We have a great number of new Chevy cars and trucks for sale. Our sales team will find the perfect vehicle for you. Perry Auto Group has two dealership locations to serve you better at 1005 W. Ehringhaus St, Elizabeth City, NC, 27909 or 1001 Halstead Blvd Elizabeth City, NC 27909. Stop in for any of your auto or community needs, or feel free to give us a call at (252) 338-9100.